The Tonner Nu Mood Black High Heel No. 5 doll shoes, style No. T12NMAC12, fit the 16 inch Tyler Wentworth bodied and all Nu Mood high heel feet. This is a black satin open toe, mini platform pump with black satin rose trim at toe. New, Mint-in-the-Package. 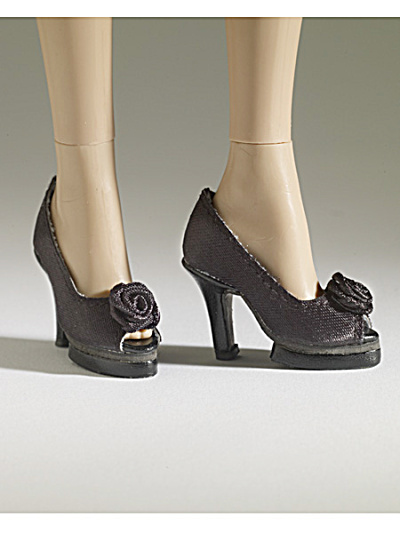 A single pair of Nu Mood doll shoes can ship by insured USPS First Class Mail postage.